Based in The Netherlands, TiasNimbas Business School is part of Tilburg University and Eindhoven University of Technology, and is an internationally top ranked business school that specializes on post-experience management education. TiasNimbas offers a broad and flexible portfolio of internationally recognised management programmes including MBA, DBA, MSc, Executive Masters & Executive Programmes for professionals seeking career development. TiasNimbas's motto of ‘Never Stop Asking’, has enabled the school to develop programmes that are rooted in leading management research, and designed to address the specific educational needs of individuals and organisations in the evolving world of business. TiasNimbas Business School is ranked 24 in Europe by the Financial Times ranks, and the Full-Time MBA programme is ranked in the top 100 rankings worldwide by The Economist Intelligence Unit’s ‘Which MBA?. With faculty members, participants, partner schools and teaching locations ranging from Tilburg to Taipei, TiasNimbas offers you a truly international management learning experience and a worldwide network of contacts. The faculty members at TiasNimbas are international experts with a passion for management education that engage in a continuous, intensive exchange of knowledge with researchers at Tilburg University and the Eindhoven University of Technology. TiasNimbas Business School attracts over 2500 high-calibre participants each year from 60-plus countries, each highly motivated and looking for a new intellectual challenge and a greater international understanding of business management - making programmes highly interactive and stimulating for all participants. One of the great benefits of TiasNimbas is becoming an alumnus and joining a network that includes alumni who figure prominently in well-known organisations throughout the world, including Fortune 500 companies. The TiasNimbas MBA programmes rank among the best international business school programmes in the world. 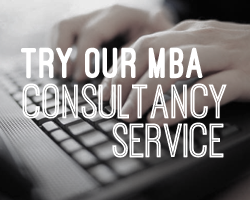 TiasNimbas Business School are determined to help candidates reach their individual potential and move forward in their careers after their MBA degree and through an international MBA network. Fill out your details to get in touch with TiasNimbas Business School and find out more about their programs.